Thank you! I do not recall reading the books you listed. I will get on it. I, like you, found books reinforcing in and of themselves. We have already read all the Ramona books. They enjoyed those but not like they have these last two. With these last two, we also made it a ritual and I think that helped. So great to remember all the wonderful books I loved as a child. I’m a mystery fan… Hardy Boys, Nancy Drew and Encyclopedia Brown were high on my list back then. I am forming a plan to introduce my 7 yo to these this summer. The digital devices seem to be more inviting, but like you said, making it more attractive by reading together just might work for him. Thx! Oh, I LOVED Nancy Drew and Trixie Beldon! I read them myself but by then, I was already hooked. I forgot about Encyclopedia. I liked him too! “Are You There God, It’s Me Margaret” is my ALL time favorite book!!!! 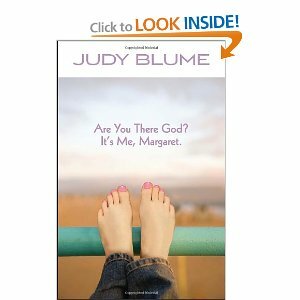 Judy Blume is a master story teller and you don’t need much motivation to read her books. Thanks for stopping by! And yes, Judy Blume is truly the best! I love that you read books with your bonus kids! Oh it’s been so long since I read those books, but I loved Judy Blume so much. I remember also really liking the Baby Sitter’s Club series, but can’t remember any of the stories individually. Hi Dawn, thanks for stopping by. The reading gives us some good bonding time. Additionally, if we pick good topics, it can also foster great conversations. 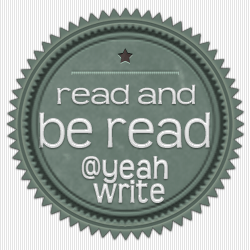 The Outsiders – I read it at least a dozen times when I was 12. Requiem for a Princess and Daddy-Long-Legs. Both stories about adoption – albeit very, very different. I loved the Outsiders but I have not read a Wrinkle in Time. I will definitely check it out. Thanks so much! A great post! I’ve been working through the “Superfudge” series with a learner who has a particular aversion to reading. He loves them! Lot’s of laughs. Thanks for taking the time to write Zach! funny that you mention Superfudge, we just bought the first one. Beanie has been reading it while I have been away and I cannot wait to see if she likes it. How is the race preparation going?